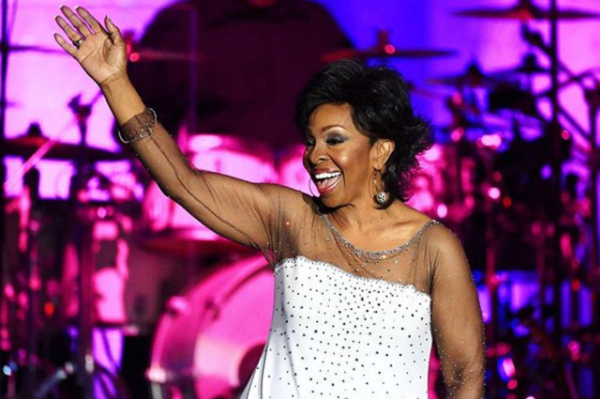 “Empress Of Soul” Gladys Knight Wows At Super Bowl With Powerful National Anthem. 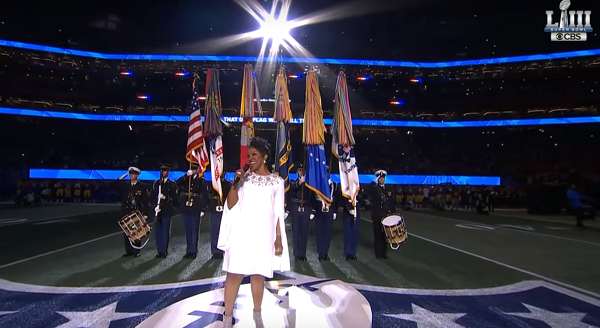 In 2019, she lent her impressive pipes and graceful stage presence to the Super Bowl National Anthem, and as usual the Empress did not disappoint! As fans all over the country waited for the action between the New England Patriots and the Los Angeles Rams to begin, Gladys treated us all to a subtly emotional performance that left us all wiping away tears. 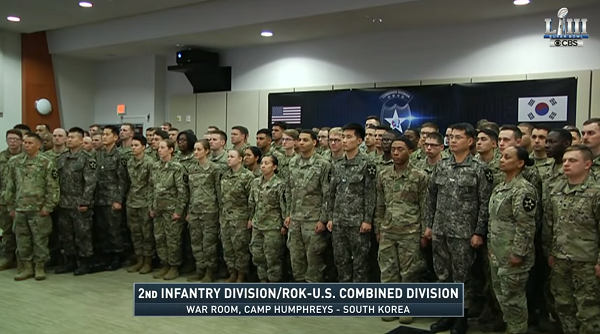 The camera panned throughout the crowd, focusing on the football players and fans as they waited patiently for the game to begin. 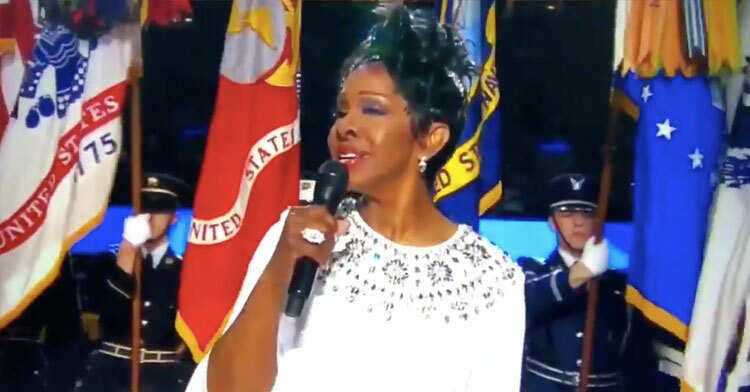 Overseas, our service men and women stood at attention as the diva’s soothing vocals filled the air waves. Gladys really made the National Anthem special and set the tone of honor and respect for the evening. 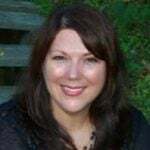 She also reminded us all that she’s a national treasure herself, just in case anybody forgot! 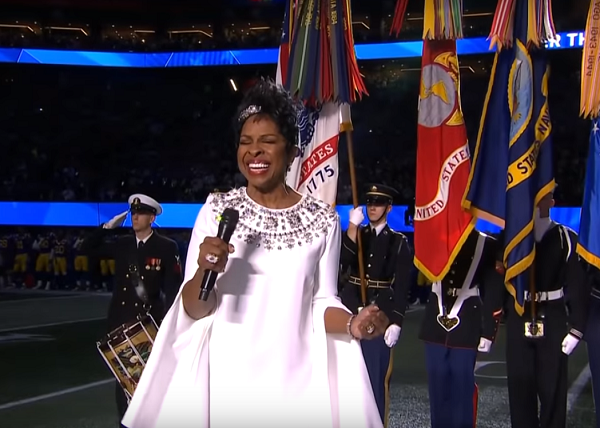 Some people think the halftime show is when the stars begin to shine, but Gladys Knight made sure to sparkle and shine way before the game even got started. What a wonderful treat for all of us proud Americans! 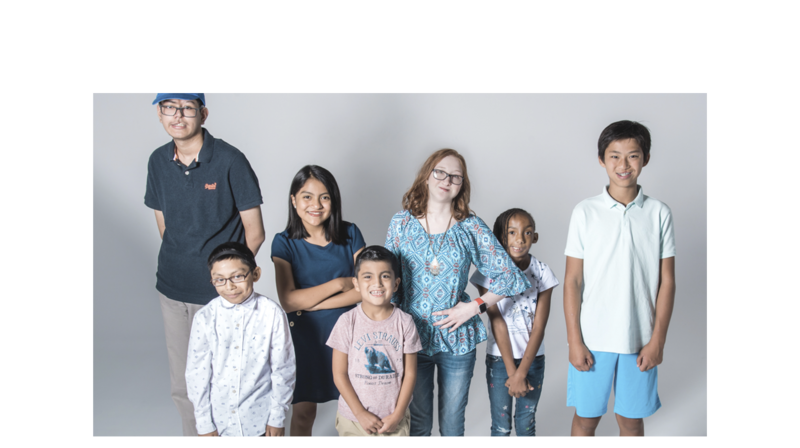 Watch Gladys giving a beautiful performance of the National Anthem below, and be sure to share this remarkable moment with others!